W & B Publishers, 9781635540819, 226pp. Aide to the United States Military. 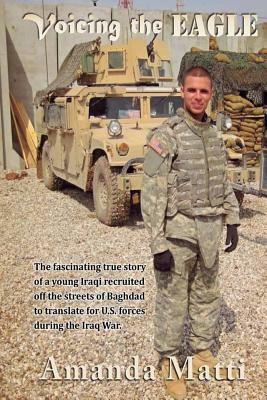 his own words, Fahdl recounts his story of going from life as a twenty-one-year-old, upper-middle class student at the University of Baghdad to being recruited right off his neighborhood streets to serve as an interpreter for a United States Army unit just days after the fall of Saddam Hussein's regime. Over the next two years, Fahdl goes on to translate for U.S. drill sergeants training new Iraqi Army recruits in Ramadi, serves alongside U.S. Marines during the first Battle of Fallujah, and eventually lands a position as a linguist with Iraq's newly formed national intelligence agency in Baghdad. Along the way, he suffers combat injuries, faces the challenges of integrating with American soldiers in the U.S. camps, is hunted by local insurgency groups for assisting the "infidels" and eventually falls in love with an American service member. Voicing the Eagle is a unique, firsthand perspective on one of the United States most controversial foreign conflicts.